5 feet 2 1/2 inches tall, 126 lb, of dark complexion with brown eyes and dark hair. Discharged no longer physically fit on account of illness contracted on active service. 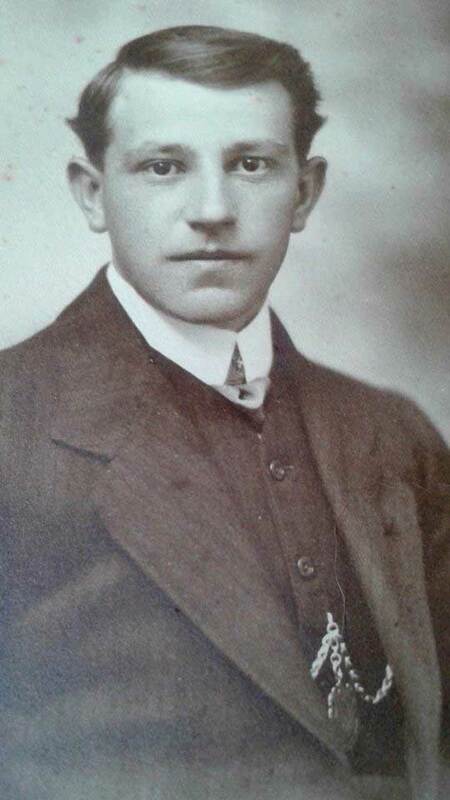 Charles Hall was the youngest son of James and Rachel Hall (nee Marsden), born on 28 October 1884 in Glossop, Derbyshire, England. Charles had two brothers and a sister: William, Samuel, and Ann. Charles had completed a carpenter’s apprenticeship before coming out to New Zealand in 1911. At the time of Charles’ emigration there was an epidemic in England. By 1913, everyone in his immediate family apart from his mother had died. Before emigrating Charles had bought land in South Canterbury, however this land had been double sold and as Charles was the second to buy the property, he had no claim to it (no one was ever prosecuted for this). Charles then spent the rest of his money buying a small piece of property which he farmed. Charles enlisted on 22 June 1917, and was attached to D Coy, 31st Reinforcements, 1st Battalion Otago Regiment. At Charles’ military examination he was described as single, a carpenter and farmer, who was 31 years and 8 months old, 5 feet 2 ½ inches tall, weighing 126lb, of a dark complexion with brown eyes and dark hair. Private Hall No. 62990, embarked on 22 November 1917 at Wellington with HMNZT 95 on board the ‘Willochra’ arriving at Liverpool on 7 January 1918. 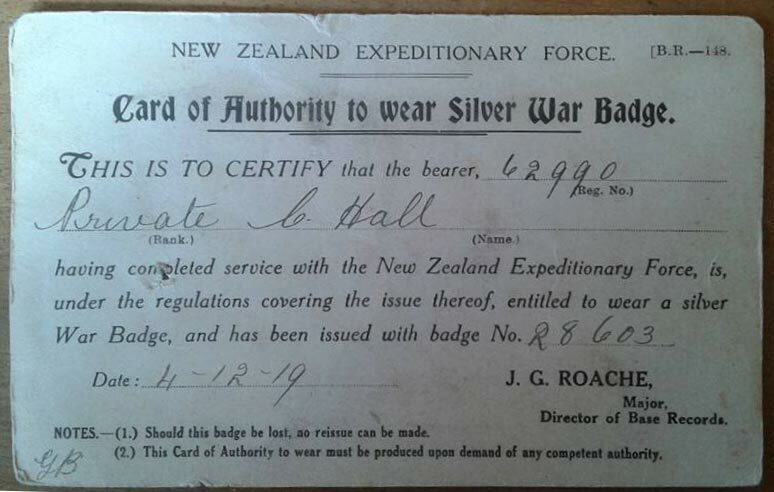 He marched into Sling Camp the following day and was posted to the 4 Otago Reserve Battalion. After further training Charles then left for France on 20 March 1918, marching into camp at Etaples on 24 March 1918. Charles arrived in France just in time for the German Spring Offensive (Operation Michael). Between 25 and 29 March 1918, the Otago Battalion went on a forced march to the south to check on the German advance on Beaumont Hamel and Colincamps, and plug the gap in the British line at Hamel-serre between IV and V Corp. The New Zealand troops were supported by British “whippet” tanks. 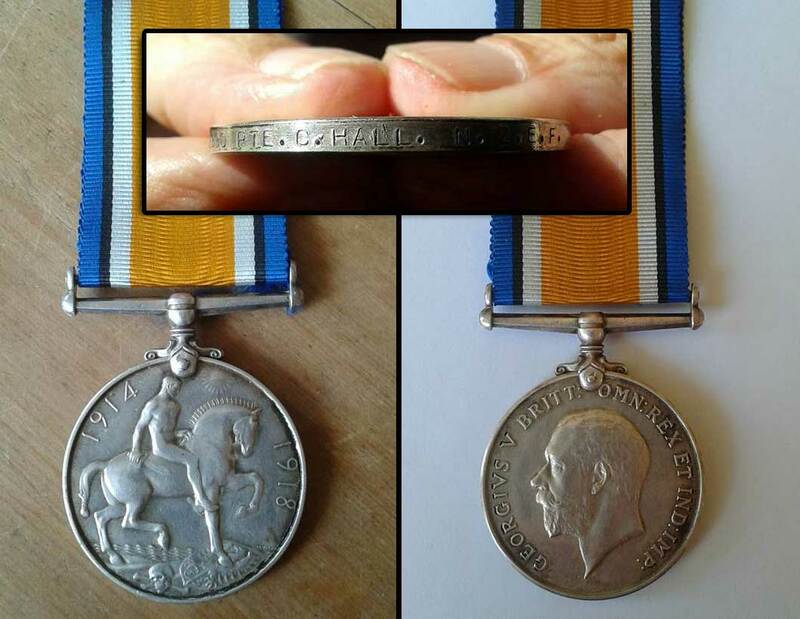 On the 14 April, Charles was posted to 14 Company, and was sent to either Ancre, Hebuterne or Puisieux au Mont where there was open warfare, through March to August 1918. Between 22 and 27 August 1918, the Battalion was spread out between Puisieux, Miraumont, Achiet le Petit, and Grevillers. From 27 and 29 August the second Battle for Bapaume began, which the New Zealand Division was involved in for over two weeks. On 29 August elements of the NZ Division, after heavy fighting in the days prior, occupied Bapaume as the defending Germans withdrew. They then pushed onto the Bancourt Ridge, to the east of Bapaume. 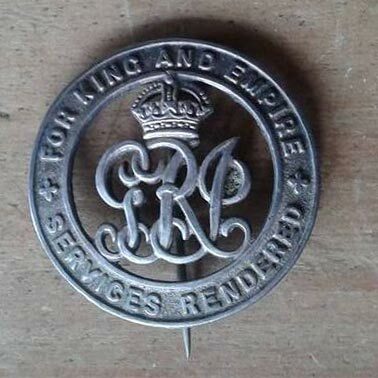 The 1st Battalion, Canterbury Regiment was one of the two leading battalions and it achieved its objective for the day. The other leading battalion was 1st Otago but they had not advanced without issues. The tanks supporting them had misidentified them and opened fire. Once the mistake had been noticed, the tanks engaged the Germans but they were soon knocked out. Even so, the tanks had provided the Battalion the opportunity to reach its objective for the day, the Arras Road. There they managed to link up with the 37th Division on its left flank, but not with the 1st Canterbury Battalion on its right. The 2nd Canterbury Battalion was brought up to fill the gap, and all three Battalions were able to strengthen their positions. Fighting continued all along the line for the next couple of months. Then, on 9 September the NZ Division pushed forward, moving onto the outer defences of the Hindenburg line, including Trecault Spur, which overlooked the German positions. Later that month along with the 37 and 38 British Division the New Zealand Division was withdrawn for two weeks rest and recreation. Throughoutm this time Charles was still with his unit, in the field. 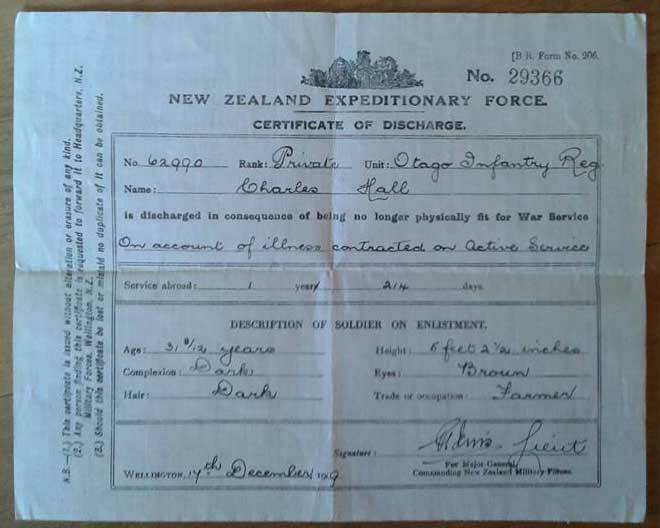 Only a matter of weeks later Charles was discharged from the army on 17 December 1918 as a result of being no longer physically fit for military service on account of illness contracted on active service (he was gassed). Charles returned with the draft on board the Maunganui, docking at Dunedin on 21 June 1919. A special train was supplied to bring the 1128 soldiers and nurses north. The weather in Timaru was atrocious when the train arrived at 5 o’clock. Driving rain and a strong cold blustery wind was blowing which failed to keep the crowds of friends and relatives away. The station was so crowded that you could not see into the carriages. It was totally dark before all of the men for South Canterbury were all off the train. The patriotic society then boarded and liberally handed out fruit and cigarettes to the men waiting to go further north. The Mayor and Mr Craigie MP were waiting to address the soldiers, but the eager, jostling crowd made this impossible. A large number of cars had been provided from all over the community to convey all of the soldiers’ home. After his return Charles moved into the home of the family of his girlfriend, Muriel Averis. 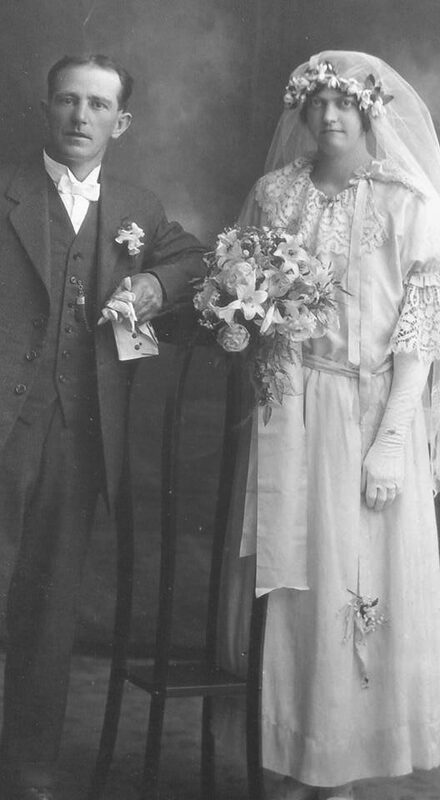 Muriel’s father, Daniel Averis had died on 16 May 1919 and his wife, Emma, could not manage the farm at Kingsdown on her own (Muriel was the youngest of Emma and Daniel’s children and the only one still at home). So Charles moved in to help Emma on the farm. Charles suffered for many years with the after effects of the mustard gas and this was part of the reason that they did not marry for many years. Charles and Muriel continued to live together with Emma Averis at Avrilton, Kingsdown, where they were finally married on 25 November 1924. Their two sons, Ivan and Frank spent their early days in the old Averis family home and attended the Kingsdown School. In April 1935, Charles and Muriel bought a farm at Pareora West. 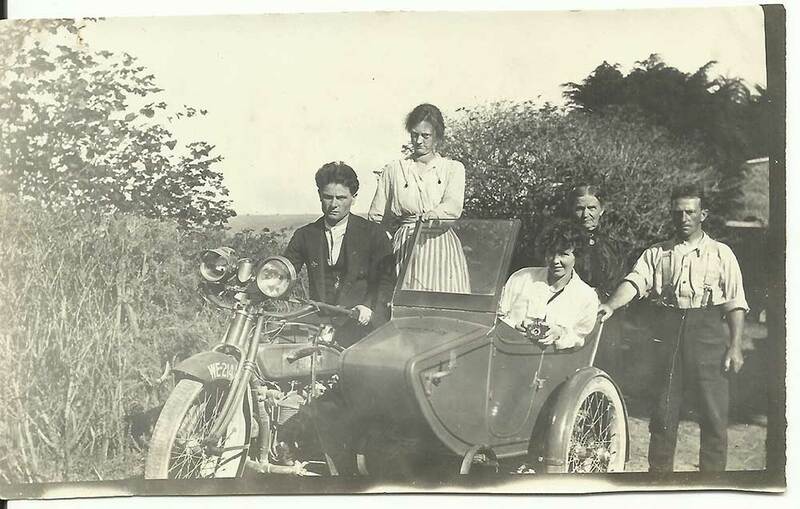 Charles travelled between the farm and Kingsdown until the family moved to Pareora in 1942. Prior to this the family had continued to live at Kingsdown where Muriel was nursing Emma for the last few years of her life unitl she died on 18 December 1941. Charles retired in 1957, he, Muriel and their youngest son Frank moved to Andrew Street, in Timaru. 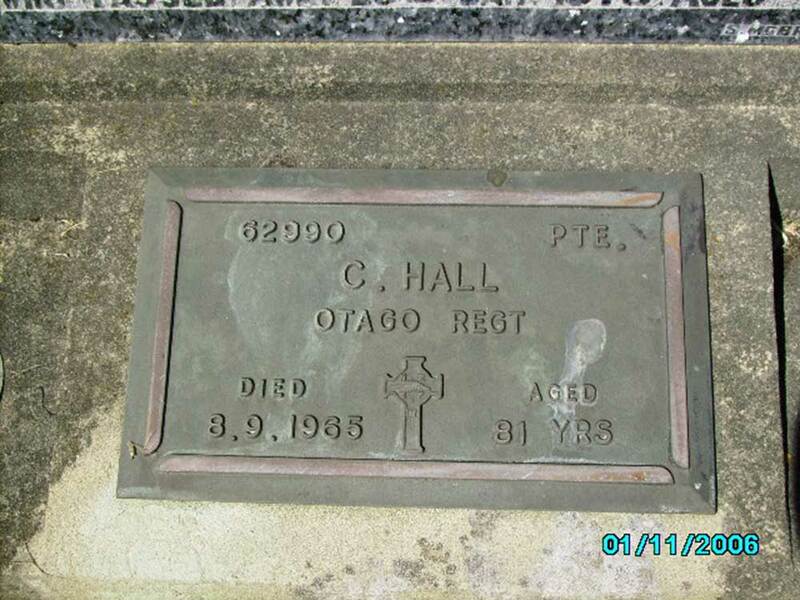 Charles died aged 80, on 8 September 1965; he is buried with Muriel in the Timaru Cemetery.